iLead2Serve: Whose Feet Are You Washing? 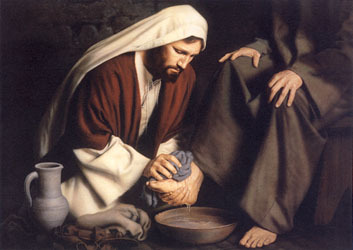 Whose Feet Are You Washing? If you think this is a question worth pondering, please share this post with your colleagues, family, and friends. Praise God for the perfect example of servant leadership, his son Jesus! Oh to be more like Him. Happy Good Friday to you too. I thought I responded to this earlier. I agree. Thank you for the kind words.